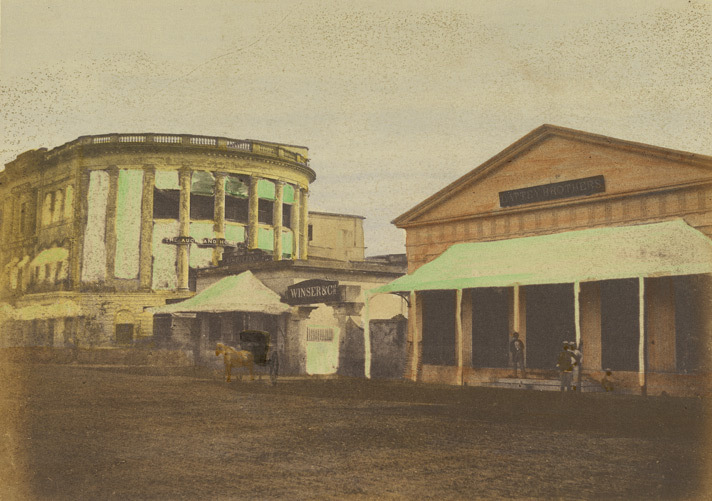 View of Ordnance Building, Esplanade Row East, Calcutta. 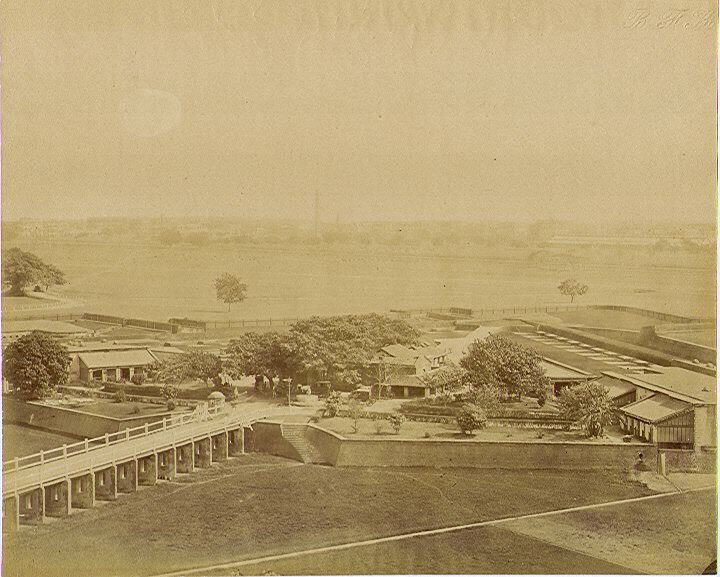 The building was built with a wide verandah to give some protection from the heat. 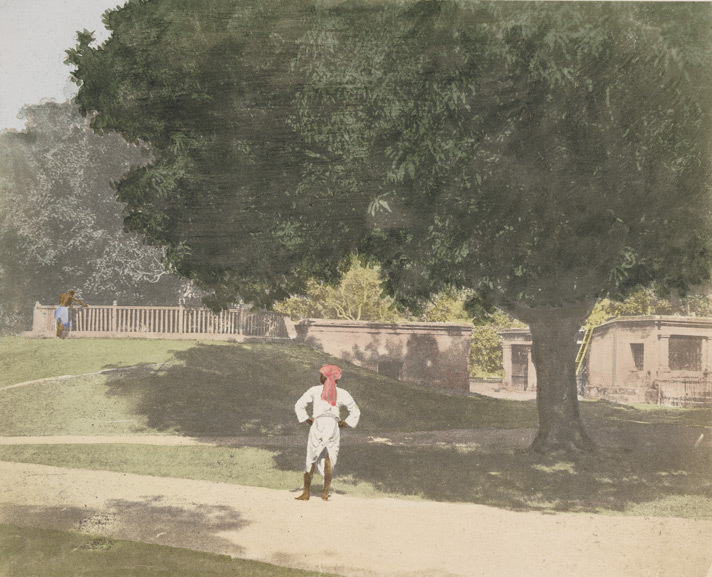 This is one of the 178 images recently discovered in the Royal Commission on the Ancient and Historical Monuments of Scotland (RCAHMS) in Edinburgh, which date back to around 1912, showing life on the subcontinent at the high point of the British Raj. via Memories In A Shoebox. This is a handsome three storied building founded in 1833 on the east side of Dalhousie Square. 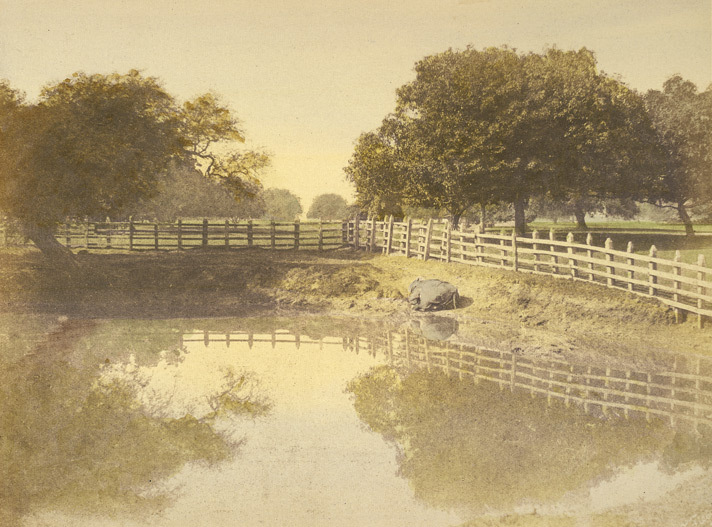 The above photograph shows the St. Andrew’s Church in the background. 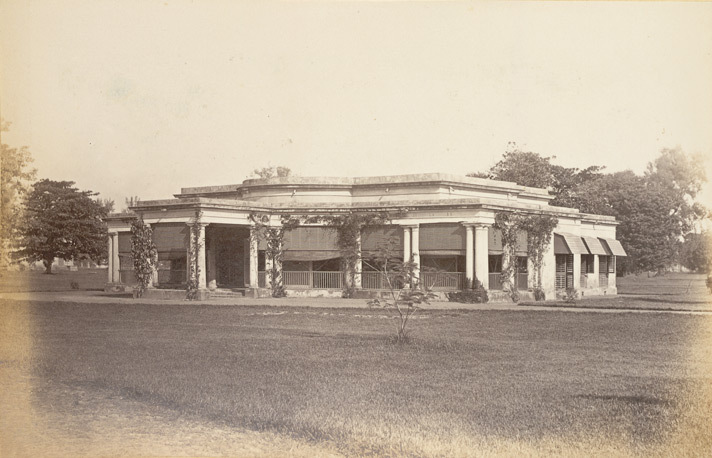 At first the building housed the Agra Bank. 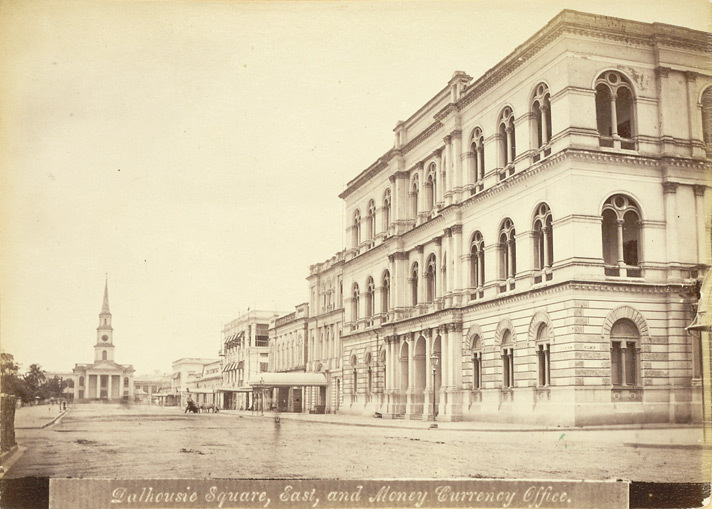 In 1868, when the Government occupied a large portion of it for its Currency Department, the building assumed its name, Currency Building. Actually it contained the Office of Issue and Exchange of Government Paper Currency. It was designed in Italian style, the walls were made of brick, the roof was arched on iron joist and the floor covered with marble and sandstone. A handsome gate at the entrance in three parts is of a very florid design in wrought iron. The Central Hall gets sunlight through skylights over-topping the large domes. The Central Hall and a row of exchange counters were used for notes gold, silver and other change. The Currency office has a vault of a massive masonry lime on its roof, walls and floor. The second floor is similarly designed and the then Assistant Commissioner in-charge of the Currency Building had his residence there. The rooms above are spacious and are paved with Italian marbles. 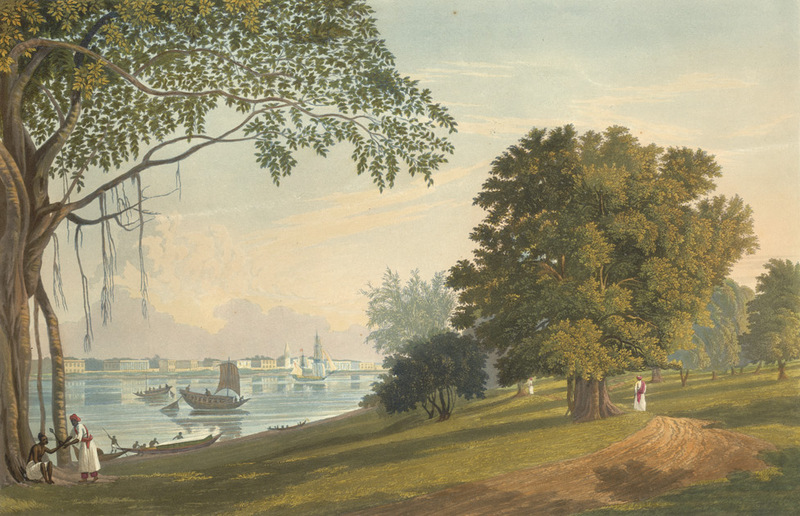 Description: Watercolour, by Charles Ramus Forrest (d. 1827), of Barrackpore House and Park in Barakpur near Calcutta. 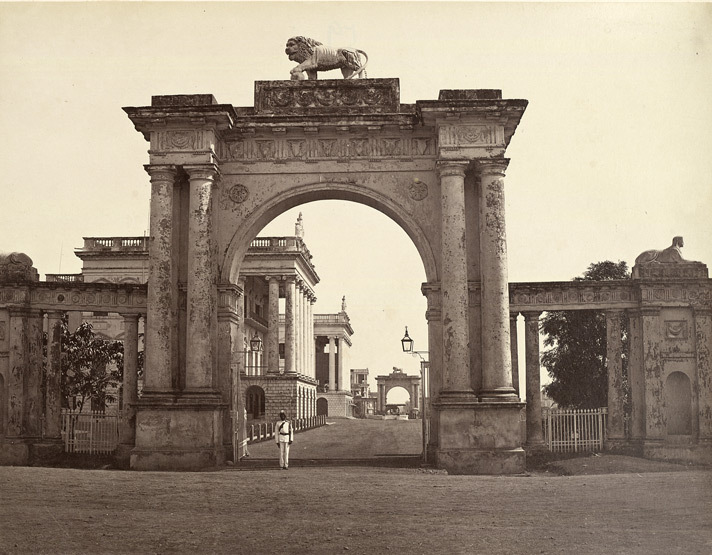 Barakpur was originally a permanent barracks, but when Marquis Wellesley took over the Commander-in-Chief’s residence, in 1801, he decided to make improvements to the area. 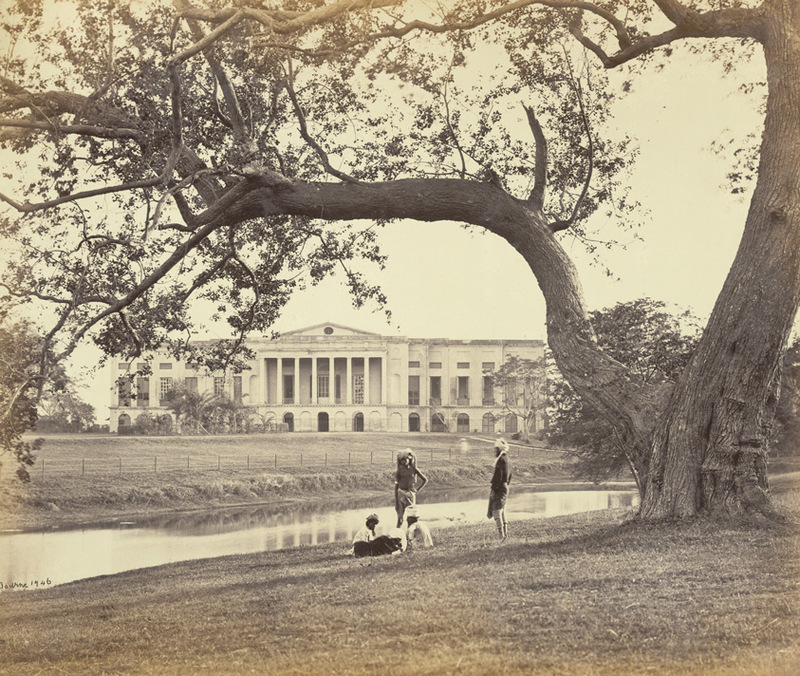 He commenced the building of a summer residence for future Governors-General, which consisted of only the first storey when he was recalled to England. 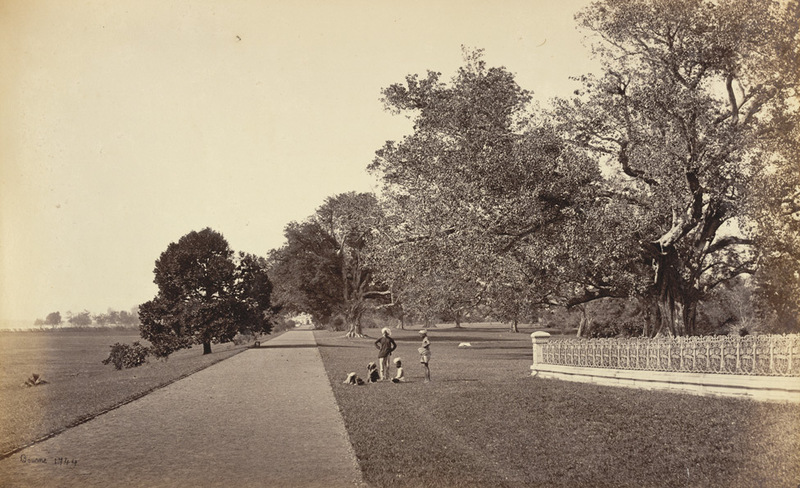 Wellesley also landscaped the gardens in the ‘English Style’ and added an aviary, a menagerie and a theatre. 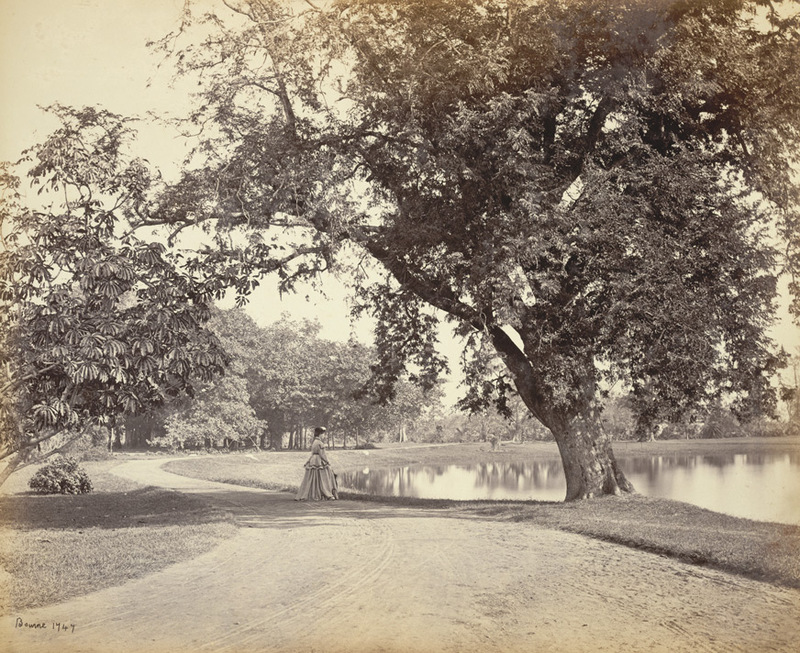 Barrackpore Park later became a popular place for leisure pursuits. 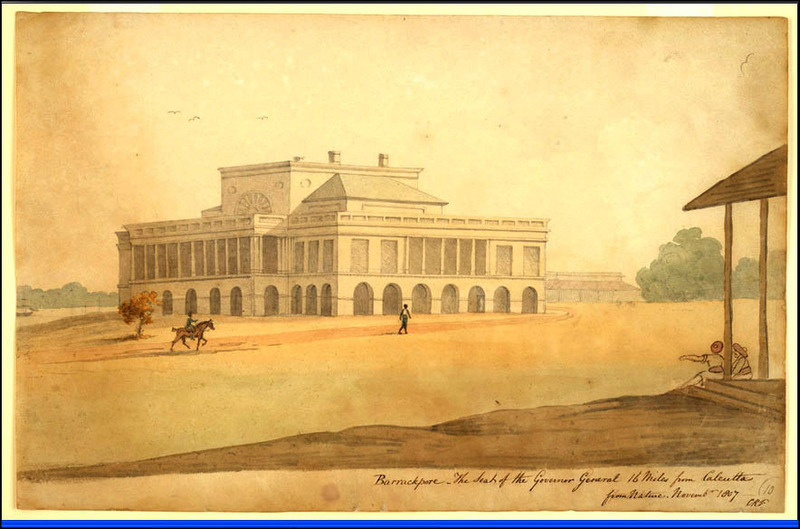 The first storey of Wellesley’s proposed grand building was first added to by Sir George Barlow, acting Governor-General from 1805-1807, who converted each corner of the verandah into a small room. This view shows the building after these additions. 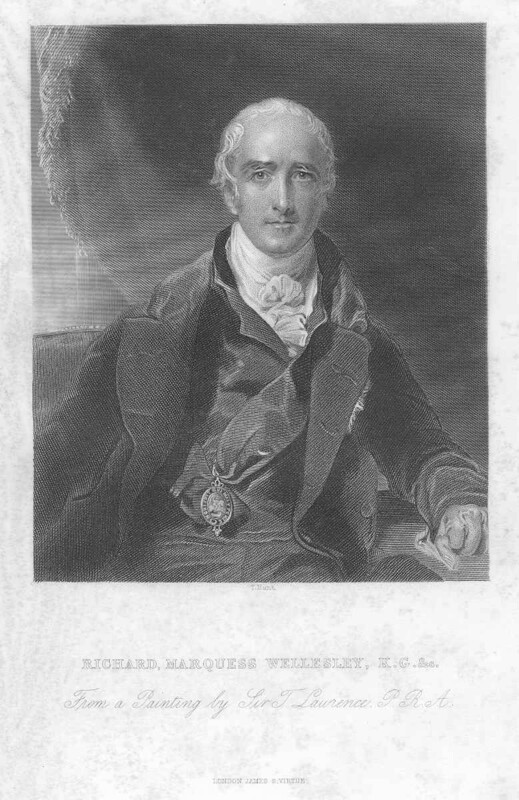 Later in 1814-15 the building was greatly extended by the Marquis of Hastings who added a new storey. 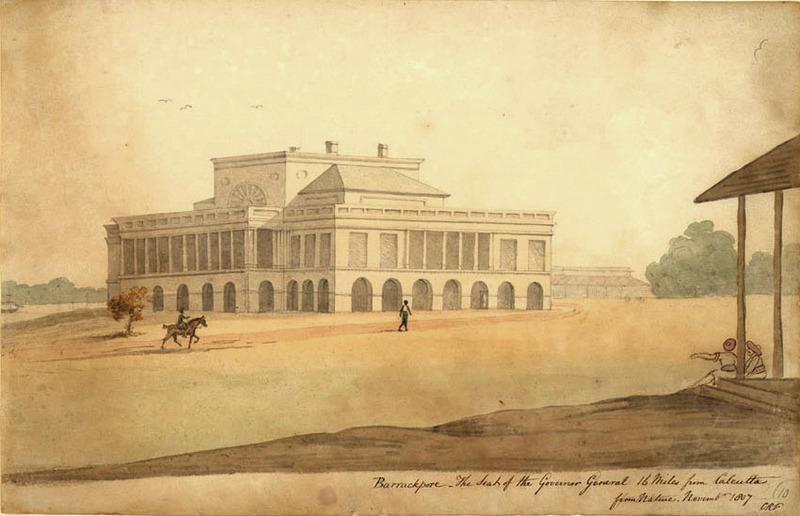 This Summer Residence of the Governor-General in Barrackpore was designed by Captain Thomas Anbury, in English Rennaissance style, in the year 1813.